Il Fornaio (America) Corporation et al v. Lazzari Fuel Company, LLC et al. Representing (as court-apointed Class Counsel) restaurants and a certified class of direct purchasers in antitrust class action alleging conspiracy to fix prices and allocate the market and customers for mesquite lump charcoal. A class settlement has received preliminary court approval. Representing consumers and a proposed class of indirect purchasers in a nationwide antitrust class action against Keurig Green Mountain, Inc., Green Mountain Roasters, Inc., and Keurig, Inc. for monopolizing the U.S. market for the sale of single-serve portion packages of coffee, tea, cocoa and other beverages. 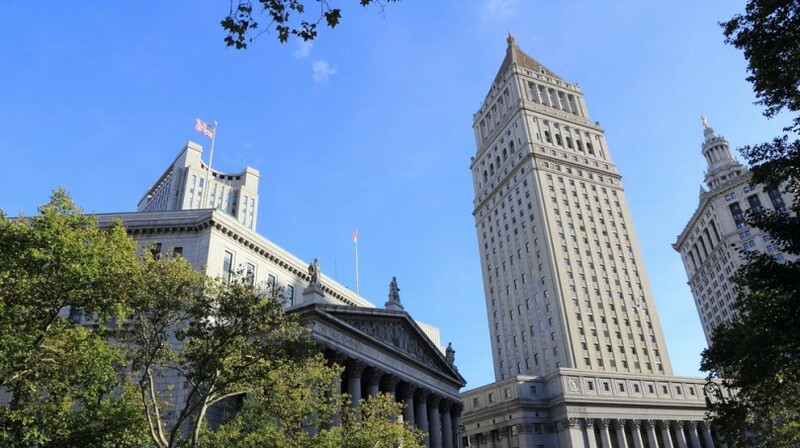 This multi-district litigation has been consolidated before Judge Vincent S. Broderick in the U.S. District Court for the Southern District of New York. The firm serves as a member of the indirect purchaser plaintiff litigation committee. The case is in active litigation. Representing (as court-appointed Liaison Counsel) direct purchasers in a multi-district class action alleging price-fixing by foreign and domestic manufacturers of Thin Film Transistor Liquid Crystal Display (TFT-LCD) products. The sharply contested litigation has resulted in recoveries of over $425 million to date. Representing (as ESI Discovery Co-chair) direct purchasers in a multi-district class action alleging price-fixing by foreign and domestic manufacturers of chocolate bars and confectionary products. The litigation is ongoing. Representing (as member of Plaintiffs’ Executive Committee) consumers and direct purchasers in a multi-district class action alleging fuel surcharge price-fixing by airlines in the transpacific passenger airline market. The litigation is ongoing. Representing (as member of Plaintiffs’ Steering Committee) consumers and direct purchasers in a multi-district class action alleging price fixing by foreign and domestic lithium ion rechargeable battery manufacturers. The litigation is ongoing. Representing University of California at Berkeley Division I women’s basketball players Justine Hartman and Afure Jemerigbe and proposed classes of current and former collegiate athletes who received athletic grants-in-aid from colleges or universities that are members of the NCAA or one of its division conferences. This multi-district, nationwide class action alleges that the NCAA and its members illegally agreed or colluded to cap or depress the athletic grant-in-aid program, causing serious financial hardship to hundreds of collegiate athletes, in violation of federal antitrust laws. The litigation is pending before Judge Claudia Wilken in the U.S. District Court for the Northern District of California. The case is in active litigation. Representing non-profit community development organizations and proposed class of end-user consumers in multi-district class action alleging price fixing of gypsum board by U.S. gypsum board manufacturers and distributors. The litigation is ongoing. Representing contact lens purchasers in a nationwide multi-district class action against contact lens manufacturers alleging that the manufacturers colluded to maintain the retail prices of contact lenses by imposing resale price maintenance restrictions on those products. The litigation is ongoing. Representing (as member of the End Payer Plaintiffs’ Steering Committee and as Discovery Co-Chair) consumers in a multi-district class action alleging price fixing by producers of packaged seafood products. The litigation is ongoing. Representing consumers and a proposed class of persons who indirectly paid for ocean transportation vehicle carrier services in multi-district class action alleging global conspiracy to fix prices and allocate the market and customers for vehicle carrier services. The litigation is ongoing. Representing consumers and direct purchasers in multi-district class action alleging price fixing of retail prices of guitars and guitar amplifiers. The litigation is ongoing. Representing clients and a proposed class of investors in multi-district litigation against the Bank of Nova Scotia, Barclay’s Bank PLC, Deutsche Bank, AG, Deutsche Bank Securities, Inc., HSBC Holdings PLC, HSBC USA, Inc., Societe Generale S.A., SG Americas Securities, LLC, the London Gold Market Fixing, Ltd., and others, alleging that defendants conspired, combined or agreed to fix or manipulate the prices of physical gold and certain financial instruments directly linked to the prices of physical gold, in violation of the Commodities Exchange Act. The litigation is pending before Judge Valerie Caproni in the U.S. District Court for the Southern District of New York. The case is in active litigation. Represented (as Class Counsel) a certified class of retail investors in Lehman-issued structured products sold by UBS Financial Services, Inc. The plaintiffs alleged that UBS violated federal securities laws by selling the structured products pursuant to offering documents that misrepresented Lehman’s financial condition and failed to disclose that the “principal protection” feature of many of the notes depended upon Lehman’s solvency. The case resulted in a settlement that established a $120 million fund to resolve the claims. Represented (as Lead Counsel) a certified nationwide class of investors of SLM Corporation (“Sallie Mae”) in litigation alleging that Sallie Mae, the leading provider of student loans in the U.S., misled the public about its financial performance in order to inflate the company’s stock price. The case resulted in a settlement that established a $35 million fund to resolve investors’ claims. Represented Allianz of America, Inc., Fireman’s Fund and other large private institutional investors in federal securities litigation against the senior executives of Winstar Communications Inc., Lucent Technologies Inc. and Grant Thornton LLP, arising out of plaintiffs’ investments in Winstar Communications, Inc. The case was resolved through several confidential settlements, the last one achieved on the eve of trial. Represented (as Co-lead Counsel) a nationwide class of individuals who bought financial plans and invested in mutual funds from American Express Financial Advisors. The case alleged that American Express steered its clients into underperforming “shelf space funds” to reap kickbacks and other financial benefits. The case resulted in a cash settlement of $100 million, in addition to other relief. Represented (as Co-lead Counsel) a certified nationwide class of investors of Macromedia in litigation alleging that the company and certain of its executives misled the public about its financial performance and products in order to inflate its stock price. The case resulted in a settlement that established a $48 million fund to resolve investors’ claims. Represented (as Co-lead Counsel) a certified nationwide class of investors of Gupta Corporation in litigation alleging that Gupta and its senior-most executives misled the public about the company’s financial performance in order to inflate the company’s stock price. The case resulted in a settlement that established a $15 million fund to resolve investors’ claims. Represented (as Co-lead Counsel) a certified nationwide class of investors of MIPS Technologies, Inc. in litigation alleging that MIPS and certain of its executives misled the public about its financial performance and products in order to inflate the company’s stock price. The case resulted in a settlement that established a $15 million fund to resolve investors’ claims. Represented, as part of a legal team, the San Francisco Unified School District in a False Claim Act lawsuit against Progress Energy Corp. and its subsidiary Progress Energy Solutions that recovered $43 million for the District. Represented (as lead trial counsel) employee of telecommunications company who was sued for reporting false telecom spectrum bids submitted to the Federal Communications Commission by her employer; succeeded in having the lawsuit dismissed under California’s anti-SLAPP law, with fees and costs awarded to the client. Represented woman who was sexually abused as a child by her parish priest. Part of landmark action against the Los Angeles Archdiocese and the Diocese of Orange. The 562 cases, spanning four generations of victims, were settled for a record $660 million. Jane Doe and John Doe v. Steven Lawrence Katz, M.D., et al. Represented a mother and child in an action against a fertility clinic for accidentally transferring an embryo belonging to another couple into the mother and the intentional cover-up of the mistake until the child was 10 months old. The other couple then sought and later obtained shared custody of the child in unrelated family court proceedings. Obtained $1 million settlement for the mother and child despite MICRA limitations in medical malpractice actions. Represented husband and wife in dangerous road condition action against Caltrans. Man was severely injured by a motorist whose vehicle crossed the median barrier on Highway 80 and struck him head-on. Plaintiffs alleged that Caltrans knew its median barriers could cause such cross-median accidents and failed to take any preventative action. $2.9million settlement was obtained for the clients. Represented (as lead trial counsel) environmental association, Citizens for a Healthy Ukiah, in California Public Records Act enforcement lawsuit to obtain public disclosure of chemical content and associated health risks of manufacturing emissions by hardboard maker reported to air quality board pursuant to California Air Toxics “Hot Spots” Information and Assessment Act, over Masonite’s objections that its emissions data were trade secrets. Represented, as part of legal team, U.C. Santa Barbara student and Daily Nexus reporter, Tim Molloy, in lawsuit alleging that then-governor Pete Wilson and the University of California Board of Regents violated the Bagley-Keene Open Meeting Act by secretly locking up the votes of a majority of Regents through private phone conversations prior to public meeting at which the Regents voted to abolish affirmative action at the University. Co-represented Consumers Union, the independent nonprofit publisher of Consumer Reports, in a lawsuit filed by Sharper Image over reviews of the product maker’s Ionic Breeze Quadra air cleaner; succeeded in having the suit dismissed under California’s anti-SLAPP law, which protects against lawsuits that chill constitutional rights, particularly the right to free speech, with fees and costs awarded to the client. Represented, as part of a legal team, University of California graduate student, Daniel Bernstein, in federal court challenge to the constitutionality of the United States government’s use and application of federal export-control laws to restrict public dissemination of scientific studies involving cryptographic documents and software. Represented (as lead trial counsel) the Norbertine Fathers of St. Michael’s Abbey, a silent order of Norbertine priests, when the order was sued for “speaking out” “in a Letter to the Editor against the proposed development of the Portola Hill ridgeline surrounding the Abbey; succeeded in having the lawsuit against the Order dismissed under California’s anti-SLAPP law, with fees and costs awarded to the Order. Represented (as lead trial counsel) daughter and heir of famed science fiction author, E. E. “Doc” Smith, when she was sued for writing a Letter to the Editor criticizing a comic book treatment of her father’s famous “Lensman” science fiction series. In the first use of California’s anti-SLAPP law in 1992, Ms. Pritzker (as Executive Director/Counsel for he First Amendment Project, a non-profit public interest law firm) succeeded in having the lawsuit dismissed, with fees and costs awarded to her client.